Her top piece of advice for recent accounting grads. How she thinks about career planning. How can you stay flexible when new opportunities come your way? Her annual review of priorities and career goals. Can you have it all (and have it all at once)? How to use scheduling to be more effective. Why you should use your calendar for more than just meetings. Bob Berchtold: This is Abacus. I’m Bob the CPA. You might recognize today’s guest from earlier this season. Back with us again today is Martha Ruiz. 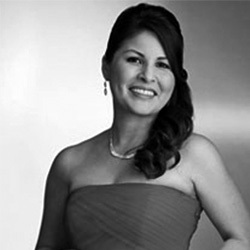 Martha Ruiz: I do tax consulting services for entertainment and media clients. Bob Berchtold: She’ll offer her best career advice like how to discuss your career goals with a coach or mentor. Martha Ruiz: I was a little bit surprised not because I didn’t have good mentors but I was just surprised of how open and candid the feedback was. Bob Berchtold: How she reevaluates her goals as priorities change overtime. Martha Ruiz: Being careful with how you commit, balancing the yeses and nos with where you generally want your career to go and then just recognizing that your life changes so it’s not always going to be the same. Bob Berchtold: All this coming up on Abacus. Let’s go. 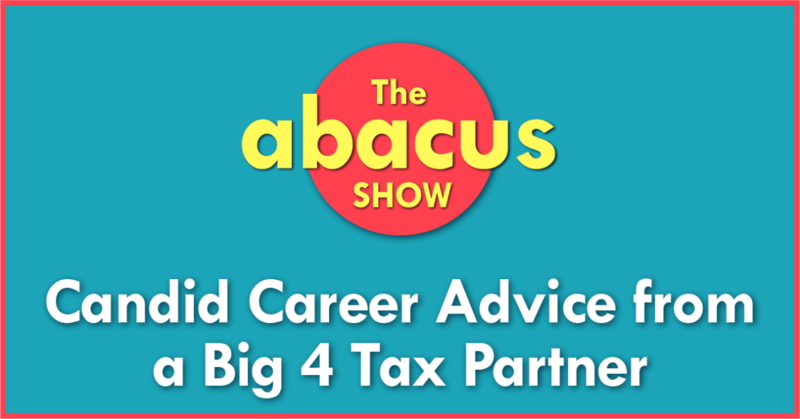 Bob Berchtold: Hey everyone, welcome back to the Abacus Show where I’m finding accountants who have amazing careers and asking them to stop by and share their story with you to inspire you to maybe go out and find a better career path for you. Today’s guest is Martha Ruiz. You heard from her earlier this season when we went behind the scenes at the Oscars but you’ll be happy to know there’s a lot more to Martha’s career story. We’ll talk about how she sets her career goals, how to stay open to new possibilities without getting overloaded and how she uses her calendar to manage both her work and personal priorities. Don’t forget. You can always get links to everything we talk and even to pop in your email and I’ll send you some of the best episodes ever from the Abacus Show by visiting the show notes of today’s episode at abacusshow.com/306. Now, let’s get right into the interview with Martha Ruiz. 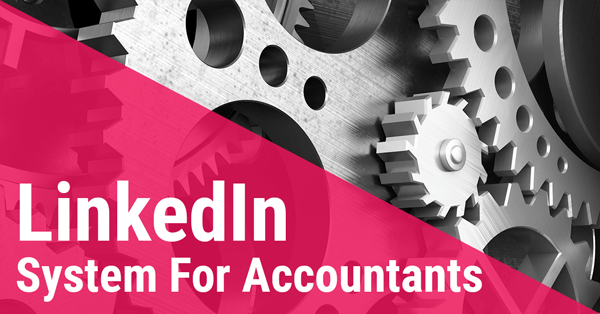 When you were getting started in accounting, I know a lot of people especially younger accountants have this dream of being a partner one day. I was wondering if you would take a step back and walk us through how your career has progressed from where you started and some different jobs you had along the way to end up where you are today. Martha Ruiz: Sure. I started PwC out of college and when I graduated, I did something I think most students probably do and that’s interview with all the big firms and a variety of other firms to mid size firms just to have my options open but I did know at the time that I wanted to do tax. That was one and then two that I really wanted to spend some time in a big accounting firm. At the time, I think the view was for most students if you can get one or two years with a big four firm or at the time it was big six, it really does set the stage for your career in the future. I think when I started with the firm, I had that mentality. I came in, not really coming in presuming I was going to be a partner one day but rather I was coming in and really looking to committing two years with the firm. Really at the time quite honestly, I think my goal was to get through the two years and potentially go work for the government after that. I wanted to potentially work for the IRS or the Franchise Tax Board here in California and it’s interesting because once I started, I definitely had that to your mindset but I’d say somewhere after the end of my first year, I really got committed to different clients. I had really good working relationships with my peers and the managers and senior managers I was working with at the time. I was fortunate although I think the environment was pretty consistent to the type of environment we have here in the firm and that’s that and there’s a really good developmental thought process around getting and working with teams and helping staff work towards their career goals. I think at the time as I was getting through that first year, it was almost an invisible line I never really thought of it like, “Oh, I just have another year here.” It was almost … It was clearly just I was working, I was enjoying what I was doing. Before I knew it, two years came and went and I was probably getting into my third year and I realized, “Oh, I was thinking of going, doing something different.” I found myself really enjoying what I was doing where I didn’t even realize how the time had passed. At that point, I had definitely started working on a lot of entertainment and media clients. I began to understand the industry a lot more. I was definitely working on tax returns and doing a little bit of consulting. I got involved in auditing the income tax line items on financial statements and was really enjoying what I was doing and I was learning a lot and being challenged a lot to a point where I didn’t really think about much more anything outside of the firm and I think what resonated to me at that point in time and it was somewhere around my third or fourth year is really just … I realized as long as I’m enjoying what I’m doing, I can continue see myself in different, working on different engagements or different roles here within the firm. It really just became a self-check that every year and as part of our development process here in the firm that we would have annual assessments. I would use that time to better assess how I felt the past year went and where would I like the next year to go and potentially the next year or two. It was interesting that through that process, I would be working with a variety different partners or managers and they would bring opportunities to me and I think the more you worked with the variety of different people, the more that door is opened up and I started working on other things that I enjoyed and had different types of opportunities as I was growing in my career. I would say that the biggest juncture that I had was probably when I was a manager and I think it was just during that 10 years that I think I might have been six or seven years in with the firm. It was just that period of time of making a decision whether continuing in public accounting given that I was married at the time and I was trying to figure out whether the environment was going to be conducive for me starting a family as well because I knew that was going to be in my future in the next few years. I took it somewhat a day at a time and I definitely sought a lot of counsel from partners I worked with just to get an understanding of things that I didn’t really know. This the first time I was obviously going to go through this and definitely challenging environment at times with some peaks and values with your time commitment and I just wanted to make sure that I was doing things that I thought were going to be good and was going to work with what I was looking for my career. I got to say that I think what was very helpful was reaching out to my mentors, my coaches and just having a discussion around things I was thinking of and I was a little bit surprised not because I didn’t have good mentors but I was just surprised of how open and candid the feedback was and really encouraging me to do what was right for me, looking at ways to be flexible when the time came of starting a family and things like that where it almost became a non issue but I’m a planner so at the time I just remember really putting a lot of thought to it just to make sure that I had a better sense of how I would make it work. I think at every stage in life just like we’re trying to make decisions around our careers, life changes whether it’s going from college to starting work or going from when you started working, maybe getting a promotion going to that next level. We forget that life changes as we move on as well in our career and all of that. That said we have to be agile and figure out how we can make things work depending on changes in life. That’s certainly been the case with what I’ve been doing and how I’ve been taking in every year at the time here and certainly I think enjoying what you do is the secret sauce to the formula in my mind because I think when you don’t realize how quickly time goes, I think there is some good in that and that must mean that you’re enjoying what you’re doing and looking forward to continuing it. Bob Berchtold: I love just about everything you just said there. I really want to dive in on your …. where you said you’ve reassessed yearly if what you’re doing is still in line with where your life is at and where you’re goals are. I feel like a lot of people just try to plan out their whole career and then they’re just like … they get overwhelmed or they realize something changed and now they think they had to throw everything out and plan something completely new. I wondering if there’s any specific things you ask yourself or any reflections you do annually that helps you maybe you said you’re a planner, maybe helps you organize your thoughts around where you’re at and where you’re going. What I realize is that sometimes you need to explore those doors that open because there’s a world of opportunity that even with your own skillset that you think that you’re good at, sometimes you’re put in different situations that maybe you don’t realize you’re good at and maybe others may see that you have certain strengths that you haven’t really viewed as a strength for yourself but others may see that that’s a strength. As you put yourself out there and try something new that maybe wasn’t necessarily in your plan for the year or what not, you find that it challenges you, you may end up enjoying it and it contributes to how you’re developing yourself and where you may take your career and it may all end up being in the same direction but sometimes it may expand things into a direction that you didn’t realize was something that you were going to be looking into. I’d say that while I think it’s good to plan and that’s definitely how I think about things especially when I call the mid long-term. I view it as a three to five year plan and that’s where would I like to take the next three years. Sometimes it’s not something you can do overnight but it’s the collective effort, a variety of different things that you can do and maybe potentially take the career to what you’re striving for. I would say that you really need to have an open mind to put yourself out there and be willing to take change and sometimes you surprise yourself that you end up saying yes to certain things and again, the things that you didn’t think you were necessarily good at or maybe you didn’t explore before but maybe others because of the strength that you showed in other projects really see the potential in what you can provide to something that is unique and they bring it to you, it turns out that they were right and it was something that you’re really good at and you end up enjoying it. I think as I would say that that biggest thing to consider is just be open to all the opportunities around you. You have to be careful though and not overwhelm yourself and say yes to everything because I think there is some challenges to that and you could end up saying yes too much and then over commit yourself and may not be able to fully get yourself into something unique that is good for you. There’s a balance between that and I think at different stages in life, you may have a little more time to commit for certain things and then you would in other times and I think personally as a personal philosophy, I’ve mentally especially as I was going through, when I became a mom it was realizing for myself that I’m not looking to do it all and have it all. That really wasn’t … isn’t something I’m striving for. I’m really looking at recognizing that I may be able to have it all but it’s going to be potentially in different stages and it’s not all going to happen at the same time. Those things that I want to strive for, it’s not perfection to have it all at the same time and there’s different things that we need to cherish in life as we’re going through life and career may be one of those things that we’re really focused on. In different stages in life, it might be something different. It might be getting ready to get married or having kids and combining all that, may need different levels of commitment at different stages and different parts of your life. Just being conscientious of being careful with how you commit balancing the yeses and the nos with where you generally want your career to go and then just recognizing that your life changes and so it’s not always going to be the same at certain points in life as it will be in other points in life. Bob Berchtold: It’s amazing how you almost just circle back there to knowing where you are going and what’s important and then that helps you priorities. 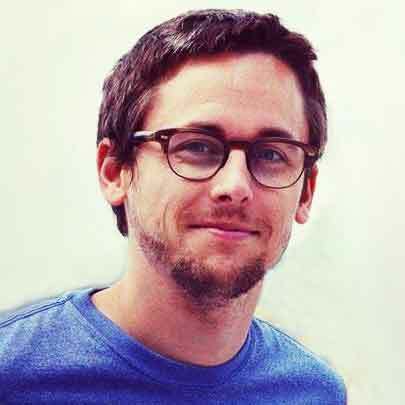 Is there anything when you’re trying to decide how to prioritize the amount of time you’re able to spend on say a specific job or working on your career in general versus raising a family, is there anything you think about specifically to help you stay going down the path you want to be on? Martha Ruiz: Yeah, I would say that the first thing I think about are my kids, my family. I think the one thing I definitely try to do with my family is making sure that just like I communicate and communication is important with work and everything we’re doing in our environment is communicating to my family so that my family also has important things going on in their life. My husband will have different commitments, making sure that we’re on the same page. My kids, they’re young and they have their own little commitments and things that they want to achieve and being able to balance that. I think that as it pertains to commitments that work and if there’s new opportunities and things I’m going to do, I definitely think about time periods and how is that going to impact certain that are key things that I know that are going to be happening within my family structure I think that in order for me to make that be balanced within my own environment, I need to have that balance and piece within my home environment. I honestly feel that I can be a better professional when I have that balanced within my own life at home because I think that’s where I get my energy. I get energies from work when I’m doing things I enjoy doing. I can take that back home but the balance and the energy I get from what I get from home is really essential to what allows me to be good at what I do here and enjoying what I do here. For everybody, that might be something different, it might be a different priority. I’ll say that when I came out of school, that wasn’t necessarily my priority and I was really looking to just do well when I came in and then after my second year, I wanted to get involved the entertainment and media so I figured out how to do that and I was doing a variety of different things to try to make sure I was doing good given that opportunity. At different times again in your life, it might be something different and at this point that’s the first thing I think about when I’m going through that thought process especially if it’s a really big decision that might require time commitment or different things that I may not otherwise be currently doing. Communicating that with my family I think they’re essential to who I am and really to be honest with you probably the reason why I’m successful because they support me and hopefully I’m supporting them in that same way. They’re just successful. Bob Berchtold: That’s one thing I guess I never thought of but applying the skills you learned in business such as great communication to your personal life especially if you’re already doing it in one area, that can only help in the other. That’s awesome. Thank you for sharing that. Besides the communication, is there anything, any habits you have or practices or anything you do regularly or specifically don’t do that you think helps make you a high performer? Martha Ruiz: Well, I don’t know if this is going to necessarily makes me a high performer but I guess I’d say that what I do regularly is I definitely walk through it and people say they live by their calendar. I definitely try to schedule almost everything, even commute at times to get to places. I found early on that even with the planner mindset I think when you’re dealing with the variety of different things and multitasking, there are things that take up more time than you realize and being from LA where traffic is the biggest problem of getting back and forth to any destination with a minimum commute of 45 minutes to an hour. It’s critical to do that. I definitely factor in, I try to keep essential calendar even including commute times like I mentioned and things that I may be trying to focus on. For example, I used to only keep meetings in my calendar and then I saw how others would definitely schedule meetings and things would overlap and I find myself at the end of the day not having had the time to do half the things I had on my to do list. I started putting in some blocks to ensure that I made time for myself to review things that I was supposed to get to or to care of things that I needed to get to. I made sure that my calendars had things that if I was trying to get to a soccer game for my daughter or something that was important to her, we made sure that on my calendar where I kept essential how I can keep my sanity in one place. I realize that leaving everything things to my memory was a fail-safe way to fail because I would even get to places really late or I forget about certain things. I use my calendar for almost everything and I just make sure I take the time to blocks out even four things that aren’t necessarily meetings but need to happen. I think we forget to do that and then we end up getting our calendar consumed with busy things like meetings and on top of meetings and then realize that you’re getting to things that you needed to get to until midnight or really late at night. It’s about trying to use your time more efficiently so I’d say that the calendar helps manage that quite a bit for me and I do rely on it heavily but try to maintain everything pretty essential there. I think that something I do regularly is just making sure that the calendar has all the key things and even things that I may not be thinking about to make sure that it keeps my day-to-day constructive and effective. Bob Berchtold: Speaking of your calendar, it looks like we have a couple of minutes left here. I don’t want to take up too much more of your time. 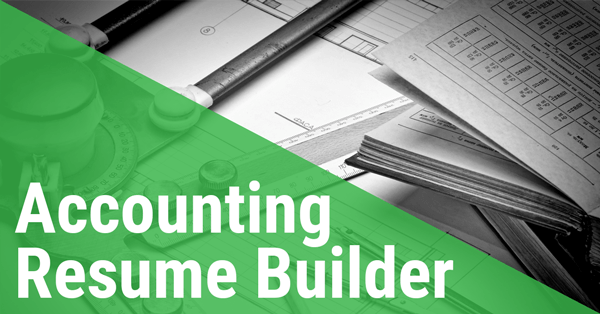 I was just wondering if there was just one thing you had to choose that you could tell all recent accounting grads, just coming out of college and deciding where to go, is there any advice you would give them? Martha Ruiz: I was given some advice, I was young, I was senior at the time I think still maybe four or five years in and I was working with a partner who I had so much respect for. He since retired but I’ll tell you, he shared some advice that was valuable to me at the time and I think even now I definitely think about it. I would say for students that are about to graduate, I think you could definitely apply this and that’s that. When you think about your career, think about it at the career long-term, not for the individual moments that you might have and recognize that in life and in your career you’re going to have good days and you’re going to have bad days but if you can acknowledge that when you look at it totality where you are in totality and look forward and say that you have more good than bad, you’re doing something right. You’re enjoying what you’re doing and if you can say that, then just recognize that those bad days, they’re going to go by quickly and that’s just part of the process but really look at when you’re looking at your career, when you’re having those bad days, look at your career for its longevity because it’s easy to get discouraged when you have some of those bad days and they’re going to happen but think about it in the long term and hopefully you’re having more of the good than the bad when you look at it from a long-term perspective and then you can recognize that you are enjoying what you’re doing and that’s really what should matter that you’re enjoying what you’re doing and that you truly are … it’s just a bad day and that will be gone before you know it. Bob Berchtold: I think that’s a great place to end. Martha, I just want to say thanks again. I really appreciate you taking the time to come on and share what you learned over the course of your career. Martha Ruiz: No, thanks for meeting with me. Appreciate it. Bob Berchtold: That’s all for today folks, thanks again for listening and I’ll see you next time right here on the Abacus Show. You might recognize today’s guest from earlier this season. Back with us again today is Martha Ruiz. Martha is a Tax Partner at PwC Los Angeles. She specializes in tax consulting for media & entertainment clients. In this episode we’ll talk about how to set career goals, how to stay open to new possibilities without getting overloaded, and how she uses her calendar to manager her work and personal priorities.